In this tutorial you will see how you can straighten the horizon and change the color into the evening scale. 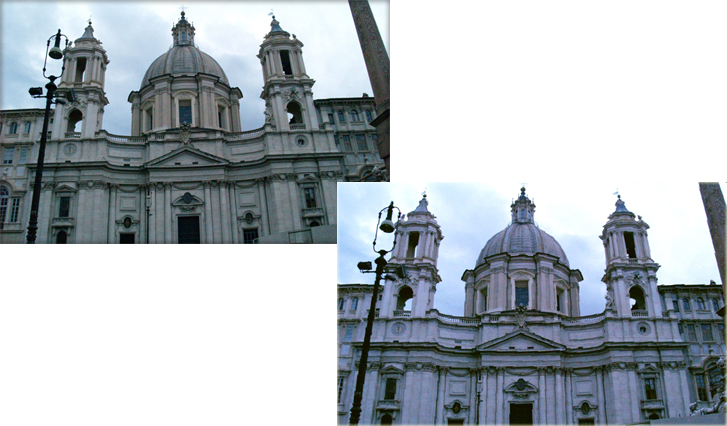 Below are the photos in comparison. The source image has nonstraight horizon and has a grey color cast. After being corrected the image looks much better in charming evening light. Below is the step-by-step description of the method. 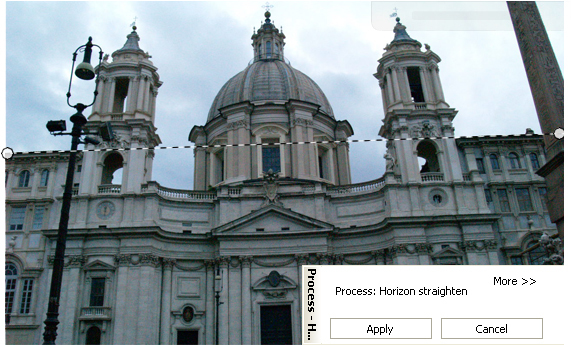 First of all we will correct the horizon with the help of Horizon straighten action dialog box. Then we will add some evening colors. We will use curves dialog box. 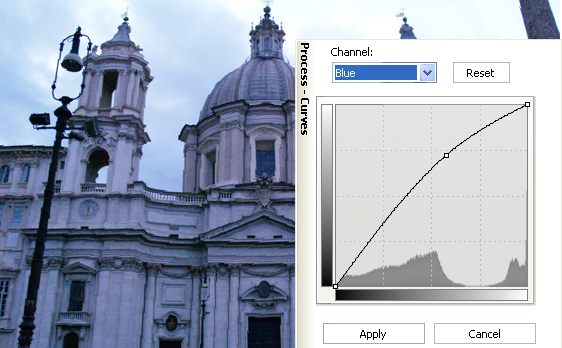 This command allows to make precise adjustments to individual color channels in. In our case the channel is Blue. 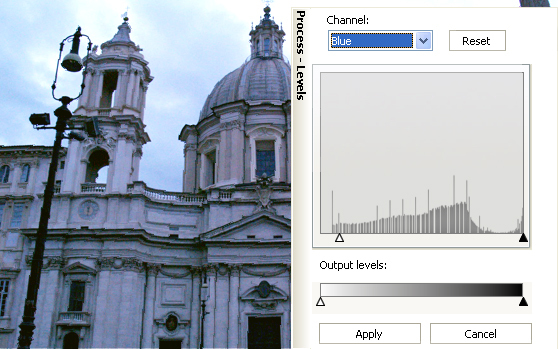 And at the end we will make our image look more natural with the help of levels dialog box. Let us pay special attention on the Blue channel. You've seen the way to corect the horizon and color scale of your image. For the best result please try different values of the parameters we changed.